When done correctly, blogging can truly separate you from others that do the same thing in the same area at the same level. The reason…blogging is meant to be current and opinionated. By putting a great analysis on the same information, you very quickly get considered an "expert". 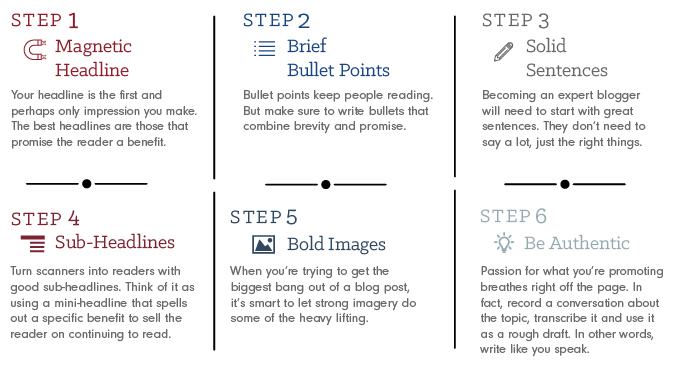 Consider these six easy steps to write a great post every time.